BASEBALL team Canberra Cavalry are over the moon as having signed former New York Yankees power-hitting draftee Zach Wilson, who will join the side for the upcoming season from the York Revolution of the Atlantic League. Last year, he won the Atlantic League Home Run Derby and won MVP of the all-star game, where he was competing against the league’s top talent. 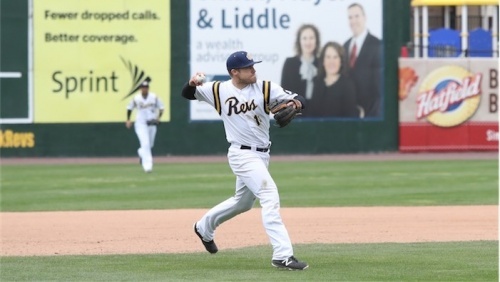 The arrival of Wilson, who plays both first base and third base, will bolster the Cavalry line up in 2018-19. “Zach comes highly recommended as a player who, as a former Yankee, is going to bring a big bat to the Cavalry line up,” said Cav’s director of baseball operations, Donn McMichael. Wilson says he was tipped off by some former Cavs players that Canberra is the place to play. He’s the first international import player signed to play with the Cavalry in the 2018/19 season, which will begin in November with two new international expansion teams entering the Australian Baseball League from New Zealand and South Korea. Labor has retained a two-party 52-48 per cent lead in the latest Newspoll, taken after Scott Morrison called the election last Thursday, writes MICHELLE GRATTAN.